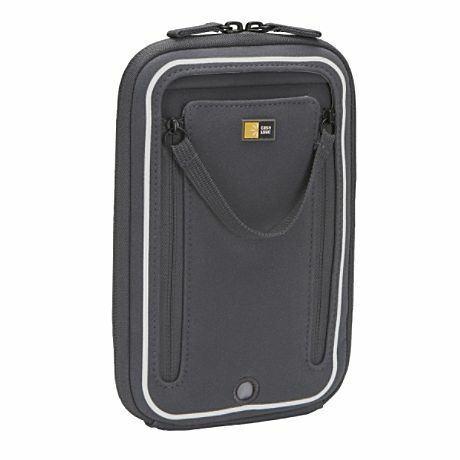 Universal MP3 Travel Case by Case Logic is a soft-sided travel kit compatible with the iPod Touch and iPod Classic. You can listen to your iPod while travelling and on the go. The compartment on the front stores your iPod, and the mesh pockets inside can store all your cords, docking station, earbuds and more. It also comes with an earbud wrap to help prevent tangled wires. This travel kit helps you keep your iPod and all the accessories organized in a single case.